When we received the invitation for the “surprise party,” we did not expect a wedding. 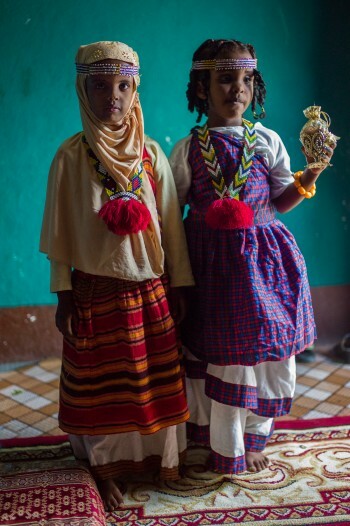 We knew our friend, Filsa, was engaged, but her fiancé no longer lived in Ethiopia. He had resettled in northern Europe and because of work wouldn’t be able to visit for several more months. The wedding was supposed to happen sometime in fall. But when we arrived at the house in Dire Dawa, Ethiopia’s second largest city, the family were all gathered there, ready to proceed. This strange circumstance has become sadly typical. In recent decades, wars and famines have scattered hundreds of thousands of Somalis all over the world. Weddings have become more and more problematic. And yet Somalis in Ethiopia and elsewhere are rising to the challenge, and are perhaps uniquely poised to do so. 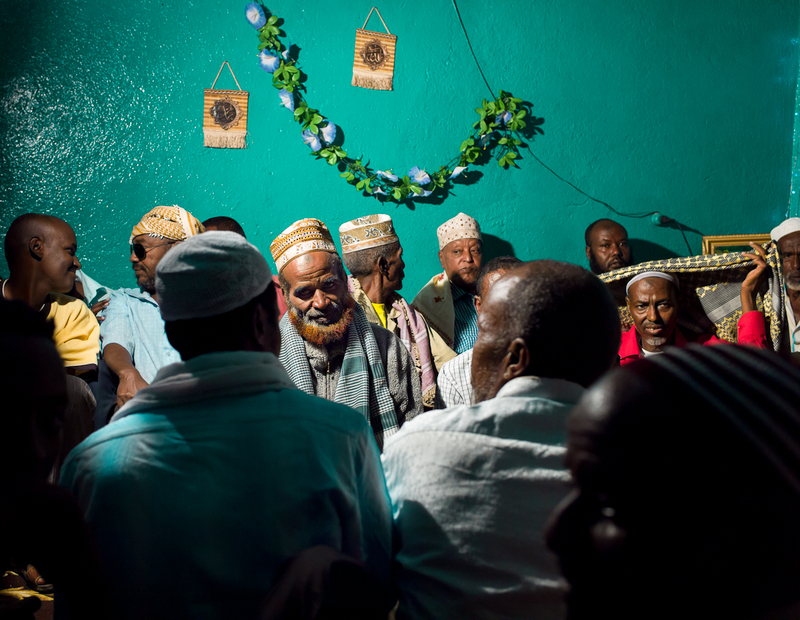 Somali wedding ceremonies are not primarily about the bride and groom; they are about the extended families. Whether the couple is present does not matter all that much, so long as the heads of the two families are in attendance. The ceremony tends to occur at the father of the bride’s house. As many family members as are able will show up. If the groom cannot make it, he might call in and attend his wedding ceremony via phone, but as long as an older family member is there to represent him, his presence is not required. The bride is not expected to attend the ceremony. Her father is the one who acts on her behalf. A proper Somali wedding has two parts, the ceremony (nikah) and the party (aroos). The ceremony is performed by a Muslim sheikh according to Islamic law. It is essentially a marriage contract between the family of the bride and the family of the groom. The main part of the contract covers the bride price that the groom and his family pay to the bride’s family, and the dowry (meher) that the groom will give to the bride as her personal possession. The bride price used to be paid in camels, but these days, cash is preferred. The dowry comes in the form of gold jewelry; apart from showing appreciation to the bride, it also acts as an insurance for her in case of a divorce. When we arrived at Filsa’s house in Dire Dawa, her extended family had already gathered. The men talked in the living room. At a neighbor’s house, the women were singing and dancing. But the bride was in the bedroom opposite the men. Several close friends were with her, doing her make-up. Other women were preparing snacks for after the ceremony. 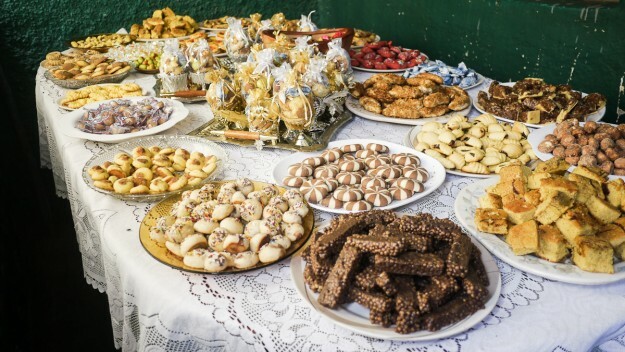 They had already set out a table of sweets and pastries in the yard. The typical dish for a Somali wedding is the Somali halwa, a sweet, oily confection served on biscuits. The groom’s family arrived, along with the sheikh. The women gathered in the yard to offer a song of welcome. The bride stayed in the bedroom with her close friends. She did not want her picture taken. She was also, we found out later, very worried about the outcome of the ceremony. Some of her extended family members were not happy with the bride price. So she stayed in the bedroom, out of sight but close enough to hear any discussion the men might get into. The elders gathered around the sheikh. The younger men sat or stood nearby, watching. The sheikh confirmed the details of the wedding contract, drafted a document, and then read it aloud. In that way he pronounced the marriage. 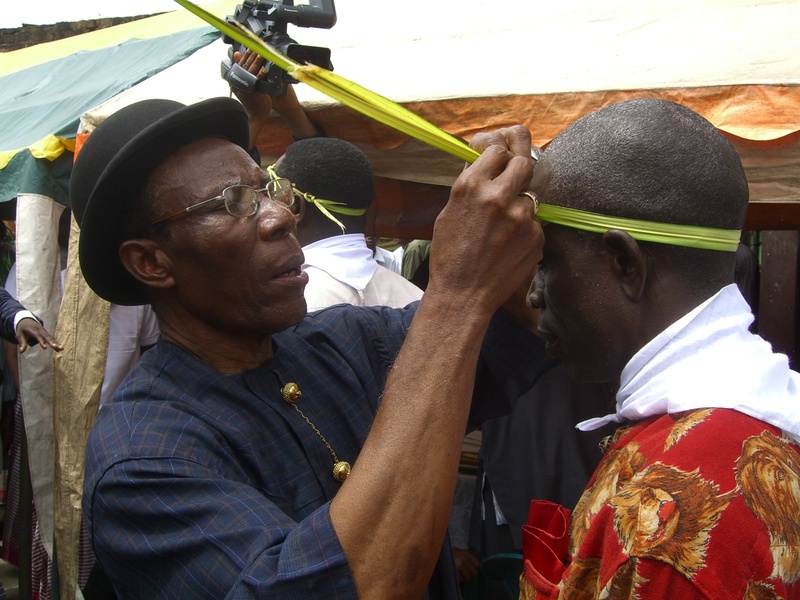 Afterwards he offered a prayer of blessing. As Filsa had feared some of the men began arguing over the distribution of the bride price, but to her relief the talk quickly ceased as soft drinks and snacks were distributed. Once the groom’s family made their exit, the bride’s abti (maternal uncle), who has something of a godfather role, reported to her on the ceremony and informed her that she was now married. The wedding party can take place the same day, or a few days later. The bride typically wears a white guntino dress and bead jewelry and leaves her hair uncovered, while her female guests wear colorful dira dresses and head scarves. There is no dress code for the men, who are mainly spectators. Modern brides will often opt for a western-style wedding dress and might even have a wedding cake and bridesmaids. Very religious brides will opt for a women-only party and almost everybody will cover themselves with hijab head scarves. Usually the bride sits on a chair in the front of the room, watching her guests dance and feast. The groom shows up towards the end to pick her up and take her home. Depending on his financial resources and lifestyle, the two might have a honeymoon at a hotel somewhere, or they might move straight into his house. This is the point at which bride and groom begin to live together as a married couple. In Filsa’s case, however, the party will have to wait until the groom can visit. Afterwards, he will return to Europe and she will stay in Dire Dawa, waiting for her visa to come through, waiting for married life to truly begin. Writer Daniel Rossbach and photographer Joshua Smith work for the International Guild of Visual Peacemakers. You can view more of their work here.